Chicago is a rock-infused, horn-driven musical powerhouse that has inspired generations of professional musicians over the last 40 years. Some of the very best of those musicians found their way to central Florida and came together to form Orlando Transit Authority. OTA is a high-energy Chicago tribute show made up of A-list players who are, first and foremost, Chicago FANS. Founder Stan Allen and Musical Director Carl Dirkes hand-picked each member of the band based on one simple criteria: The degree to which he naturally sounds like the corresponding original member of Chicago. Any time you assemble players of this caliber, a great-sounding band is a given – but that wasn’t enough. OTA went one step further by seeking to emulate every stylistic nuance of the Chicago sound, both vocally and instrumentally. The vocal harmonies are right. The solos are right. The guitar sounds are right. EVERYTHING is right. Close your eyes and you just might forget who it is you’re listening to. 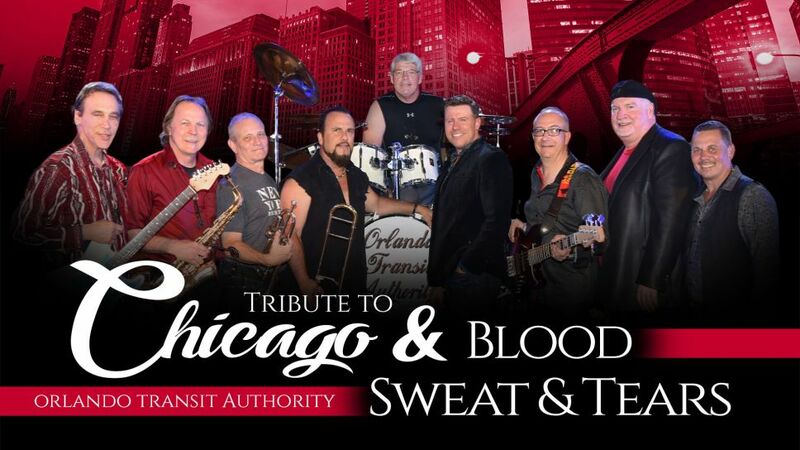 OTA takes the Chicago tribute to another level by offering a “tribute within a tribute” to the group that was indirectly responsible for Chicago’s success: Blood, Sweat and Tears. From the soulful vocals to the technical mastery of the horn solos, OTA brings the most popular Blood Sweat and Tears to life with astonishing accuracy and energy. 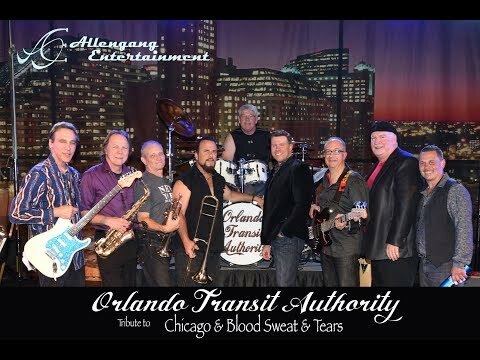 If you are moved by the technical virtuosity and sheer power of the greatest horn bands in pop music history, you will LOVE Orlando Transit Authority. Every member of the band loves this music – and it shows.